Dirty Girl Scout Cookies: Thin Mint Cocktail W/ Ru... 0 Votes Up! Crown Royal Peach Whisky Review 1 Vote Up! REVIEW: MOONSTONE CUCUMBER MINT SAKÉ 1 Vote Up! OH MY Pumpkin Pie Cocktail 1 Vote Up! Hangover Prevention: Drinkade Review 2 Votes Up! A Party in a Bag: BeatBox Beverages Review 2 Votes Up! Apple Meets Pumpkin: The Spiced Orchard Cocktail 0 Votes Up! Banana Milk Coffee… With RumChata 0 Votes Up! Boozy RumChata Paletas 1 Vote Up! RumChata Caribbean Coffee 1 Vote Up! Boozy Banana Cream Pie Milkshake 27 Votes Up! 3 Gifts for Your Friend Who Has Everything 74 Votes Up! RumChata Pumpkin Pie 2 Votes Up! The Perfect Match: A Guide to Pairing Whiskey and... 6 Votes Up! Boozy Desserts: Adult Milkshakes With RumChata 6 Votes Up! 7 Simple Summer Cocktails You Should Be Drinking 2 Votes Up! Strawberry Crushed Cocktail 4 Votes Up! 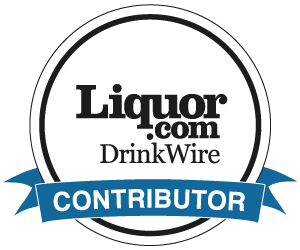 12 Best Cities for Whiskey Lovers 2 Votes Up! American Dream Punch 2 Votes Up! A Guide to Florida Craft Distilleries 2 Votes Up! Coffee Cocktails We Love: RumChata Iced Coffee 3 Votes Up! Star Wars Blue Milk Cocktail: Happy May the 4th 5 Votes Up! Celebrating the Day of The Dead With El Jimador Te... 3 Votes Up! Halloween Favorites: Crystal Head Vodka Review 3 Votes Up! Basil Hayden’s Autumn Sour 3 Votes Up! Review: Hornitos Black Barrel – The Tequila for Wh... 4 Votes Up! Review: BĒT Vodka – Vodka Made From Sugar Beets 4 Votes Up! Beyond The Lime Wedge 1 Vote Up! Trick Out Your At-Home Bar 5 Votes Up!